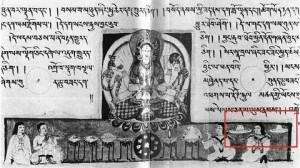 Ancient Cave Drawings; Carvings & Sculptures; Paintings & Tapestries, and Books & Illustrations found all over the planet. 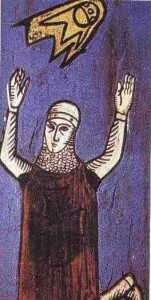 Illustrations from a 12th century manuscript Annales Laurissenses, a book that documents historical and religious events. 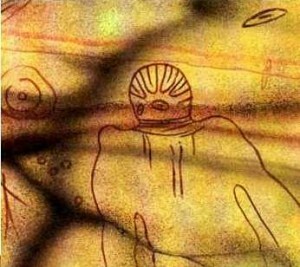 These illustrations refer to a well-documented 776 A.D. UFO sighting in France. 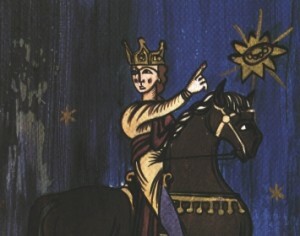 The Saxons were besieging the French Sigiburg Castle and had surrounded the town when a group of light-emitting disc-shaped objects, which they called “flaming shields”, suddenly appeared in the sky above the church. 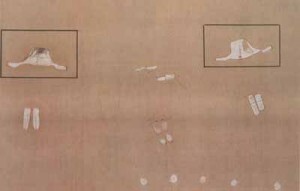 The Saxons took this “sign” to mean that these objects were there to protect the French and fled from the area. 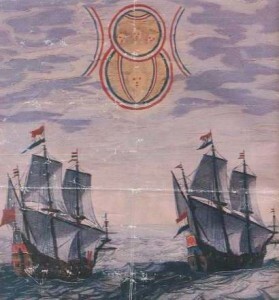 UFO sighting by two Dutch ships in North Sea, 1660. This is illustration of the event is found in one of the series books, “Theatrum Orbis Terrarum” by Admiral Blaeu. These books were compilations of articles by various authors and consisted of detailed accounts of long trips at sea, cartography information, and etc. The witnesses said the object moved slowly in the sky above them and seemed to be made of two disks of differing szes.